Jeff Herrmann in the control room at Seattle’s Fullsound Recording, featuring Genelec 8260A Tri-Amplified DSP monitors, featured on platforms on either side of the control desk. 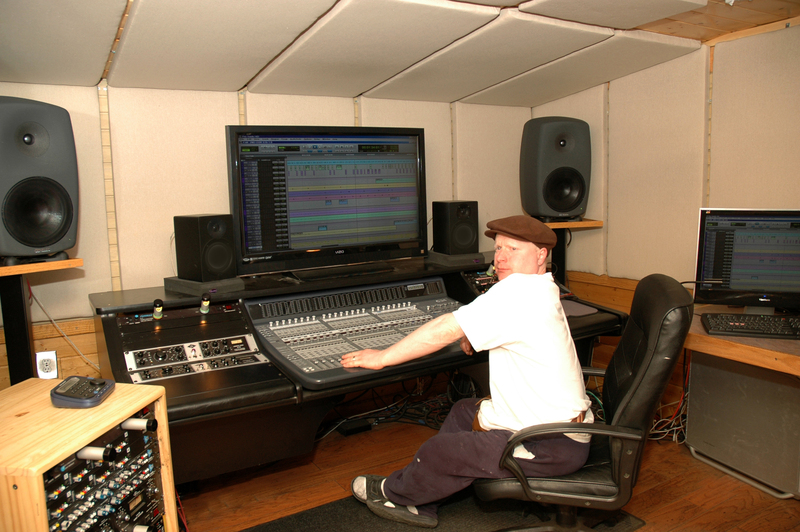 NATICK, MA, July 15, 2011 — Seattle, Washington-based Fullsound Recording studio owner Jeff Herrmann has been a Genelec fan for 25 years, all the way back before the glory days of Seattle’s revolutionary grunge music scene, when he recorded artists including Dr. Grind, Sinister Minister and Grunt Truck. Today, Herrmann continues his tradition of Genelec monitoring with the installation of a new pair of Genelec 8260A Tri-Amplified DSP monitors in Fullsound Recording’s main control room. Flanking the studio’s Avid C|24 Pro Tools HD3 controller and Neve summing mixer, the new 8260A monitors will take the studio into the next generation of Seattle music. Currently, jazz, adult contemporary rock and worship records make up much of Fullsound Recording’s and Herrmann’s portfolio, including that of his wife, worship music artist Maureen Herrmann. The 8260A’s replaced the studio’s existing pair of Genelec 1032A Bi-Amplified Monitors, which have been moved to the studio’s MIDI control room. The Genelec 8260A speakers were purchased through Account Manager Brad Lyons at GC Pro in Atlanta, Georgia. The Genelec 8260A 3-way DSP system is a masterpiece in electro-acoustic design, featuring major advances in audio driver technology integrated to a sophisticated enclosure design. Genelec MDC™ Minimum Diffraction Coaxial Mid/High driver technology takes a big step in perfecting audio quality in professional active studio monitors. This breakthrough in coaxial driver design provides more accurate imaging and improved sound quality both on the acoustical axis as well as off-axis. The extremely smooth frequency response leads to outstanding clarity and definition of the inner details of the music. The 8260A combines, for the first time, a coaxial driver (MDC) with a modern waveguide technology (DCW™), ensuring drivers to couple coherently over their full operating bandwidth, as well as creating coincident mid-frequency/high frequency point source. The 8260A features Genelec DSP signal processing responsible for all loudspeaker functions, such as the crossover filters, driver equalizers, driver position alignment, room response alignment, calibration, and equalization related filters as well as distance compensating delays. And Genelec Loudspeaker Manager™ (GLM™) software manages all these functions allowing the 8260A to be used together with other 8200 Series DSP monitors and 7200 Series subwoofers in the same setup. Genelec AutoCal automated room calibration and sound system alignment method provides consistent and accurate frequency response for a multichannel audio system in widely varying room environments. The 8260A is housed in a die-cast aluminum Minimum Diffraction Enclosure™ (MDE™) with acoustically optimized rounded edges to prevent diffractions and yielding superb sound stage imaging. The robust enclosure is also completely immune to vibrations. Each 8260A also comes with an Iso-Pod™ (Isolation Positioner/Decoupler™), which eliminates coloration of the sound by decoupling the monitor from its mounting surface. For ideal mounting in differing environments, the 8260A includes integrated rear support points for various floor and wall stands. Photo Caption: Jeff Herrmann in the control room at Seattle’s Fullsound Recording, featuring Genelec 8260A Tri-Amplified DSP monitors, featured on platforms on either side of the control desk.